January 25, 2019 1:38 pm. Hillis always thought his filly would perform better with time and that has proved to be the case, with the three-year-old winning her two most recent races, including the Group 2 Royal Stakes (2000m) at Ellerslie on New Year’s Day. “When I bought her and entered her for the Karaka Million I entered her more for the three- year-old race because they had put that up to $1 million,” he said. Hillis named Imelda Mary after his mother, who drew gate 16 for their charge at the barrier draw at Karaka on Wednesday, which Hillis isn’t too concerned about. “It should be a high pressure race, we didn’t get the best of draws, but she has got no early speed, so she is probably best out there anyway,” he said. All going to plan on Saturday, Imelda Mary will continue on a black-type path, with a tilt at the Group 2 Cambridge Stud Sir Tristram Fillies Classic (2200m) at Te Rapa on February 9 on the agenda. Hillis will also line-up two other runners on Karaka Million night, with Bit Lippy contesting the Group 3 Mongolian Khan Trophy (1200m) and Livin’ On A Prayer lining up in the Group 2 Westbury Classic (1400m). 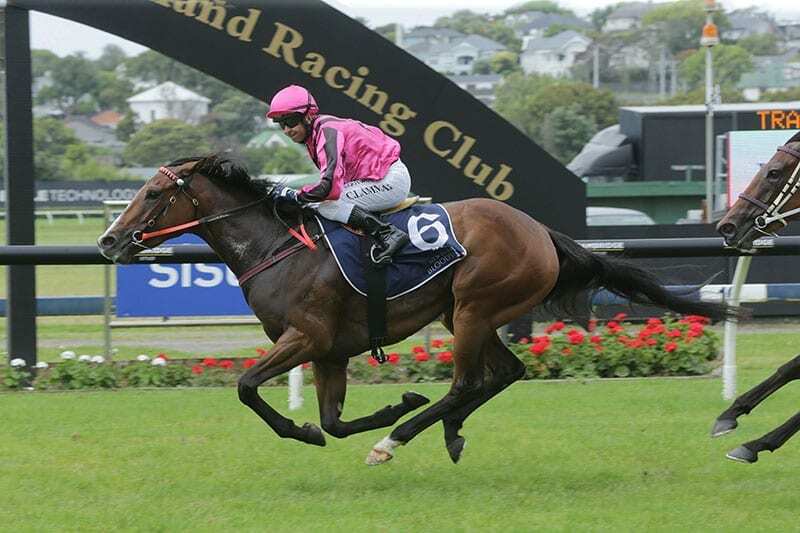 Bit Lippy heads into Saturday off the back of unplaced runs in the Group 1 Levin Classic (1600m) and Group 1 New Zealand 2000 Guineas (1600m) and Hillis believes he should appreciate the step back in distance. Meanwhile, Hillis rates Livin’ On A Prayer as his best chance on the six race card and believes a step up in distance will favour his mare after finishing sixth-equal in the Group 1 Telegraph (1200m) at Trentham earlier this month. “She ran a bottler down in the Telegraph. Cameron (Lammas, jockey) said at that level, in a Group 1, 1200m might be a bit short for her,” Hillis said.